Large pores are part of our life, same as breakups and taxes. But, if you do have large pores, it does not mean that there is no solution to your problem. Every woman at some point in her life has to deal with blackheads. Men have this problem too. 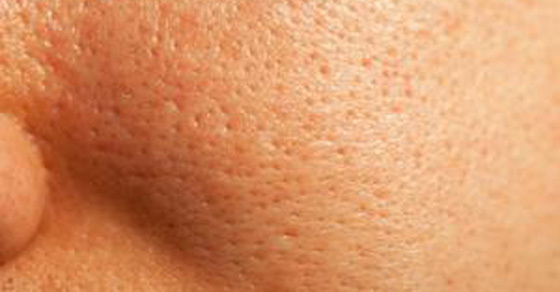 Blackheads, or commonly called comedo, are wide openings in the skin with black debris that covers the pores. Comedo is actually widened hair folicle filled with debris like keratin, bacteria and oil. Sebum lubricates hair and skin and it is released through the pores. Sometimes it is blocked and cannot exit pores completely, and bacteria tend to accumulate in the pores. 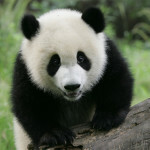 Blackheads usually appear as a result of overproduction of oil in the skin. 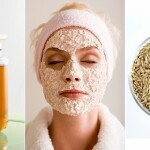 Check these tips and get rid of pores. They will also help you shrink your pores. Oil-free cleansers wash dirt, oil, and makeup away, and does not affect the natural moisture of your face. Rinse with cold water. Cold water will shrink your pores. 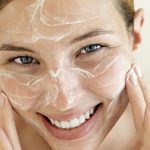 These masks strip water and oil from the skin and shrink your pores. 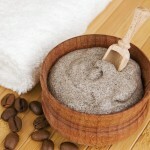 Use clay masks with bentonite and kaoline clay. Combine 2 eggs, 4 tablespoons of sugar, and a few drops of acidic liquid. Apply the mask on your face and leave it on for 15 minutes. Rinse with cold water. Skin tones even out skin. These eliminate oil and shine, prevent breakouts and clogged pores. Same as toners, but alcohol-based and much stronger. Alcohol-based astringents are only recommended for highly tolerant and oily skin. Apply a cleanser on your face and gently scrub using a gritty scrub. Vitamin C stimulates the production of collagen and elastin. You need simple ingredients like hot water, lemon juice, ice cubes, and a washcloth. Fill a large container with hot water and hold your face over it for 3-5 minutes. Put the lemon juice on the washcloth and dab it on the face. Rinse with cold water. Finally, gently massage your face using the ice cubes. Alternate between steam, lemon juice treatment and ice cold massage and your pores will shrink immediately! 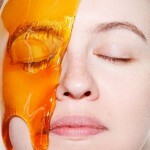 Leaving your makeup on during the night clogs pores and makes the skin oily, which causes blemishes and large pores. Avoid carbonated drinks and drink more water. This will reduce the size of your pores. Water eliminates toxins from the body unlike carbonated drinks that harm your overall health.